A while back, I bought this 50-movie set, Sci-Fi Invasion, for five bucks. That adds up to ten cents per movie. 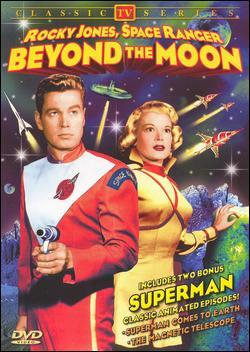 Beyond the Moon is another three episodes of the 1954 TV series Rocky Jones Space Ranger spliced together into a single movie. This time, it’s the first three episodes, so we can see how it all began. Here’s what happens: Space hero Rocky Jones and his sidekick Winky (seriously, dude, get a new nickname) learn kindly old Professor Newton and his nephew Bobby has left Earth for the mysterious world of Ophiuchus. Believing the professor is held against his will, Rocky, Winky, and space hottie Vena set off for the rescue – and into the trap laid out by the sinister femme fatale Cleolanta. 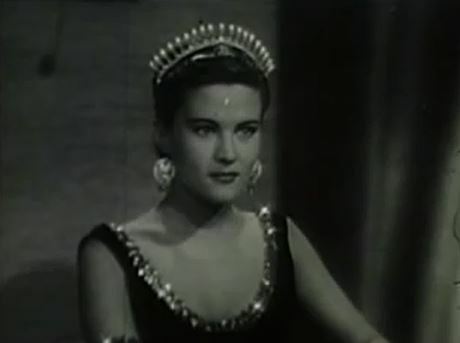 Speculative spectacle: Cleolanta uses mind control on Bobby to ensure the professor’s loyalty, and to try to fool Rocky’s crew. Oh, and plenty of models on strings for the space action, of course. What the felgercarb? This is another one of those movies where the cylindrical-shaped spaceship lands just like it takes off, standing straight up. Filmmakers of this era had a thing or two to learn about rocket science. 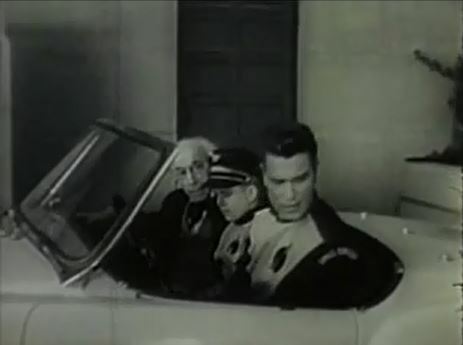 Microcosmic minutiae: More than 20 episodes had already been made by the time this first one aired in 1954. 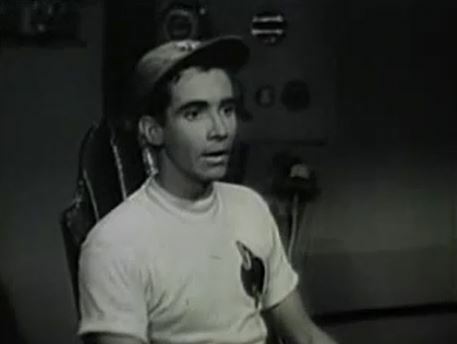 Then, the same month as the premiere, actor Scotty Beckett, who plays Winky, was arrested following an armed robbery in Hollywood. He made bail and fled to Mexico, where he got into a gunfight with local cops before being caught again and incarcerated for four months. Dang! Worth ten cents? This one isn’t quite as much goofy fun as the other Rocky Jones tale on this set, The Gypsy Moon, but it still that 1950s sci-fi genuineness you just can’t get anywhere else.